Go to http://get.adobe.com/flashplayer/ to download Flash for free. 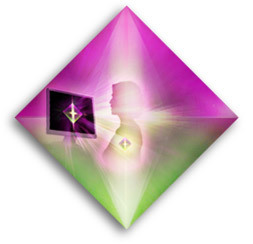 The Diamond Alignment Activation is a 6-minute multi-sensory energy transmission delivered through the Internet that immediately connects and aligns you with the Divine Power Within and the Universal Power of Heaven and Earth. This transcendent experience relaxes your mind, clears tension and toxicity from your cells, and activates the flow of Divine Ecstasy in your body ... gifting you with a deep state of Inner Peace and Joy that emanates from you throughout the day. This powerful and convenient Sacred Tool is accessible whenever you need it - 24 hours a day, 7 days a week. "In the past three days I keep getting clearer "ah ha" realizations, and it seems that all I have to do is hold a question in my head and I'll get the answer sometime that day. I think Diamond Alignment broke through some blocks that must have been there." on the Road to Diamond Mastery! The continuous infusion of Diamond vibrational support received through the 6-minute Diamond Activation (2 times a day is optimum) empowers you to master your alignment with Diamond Consciousness and keep your energy field clear, your vibration high and your energy flow strong ... no matter what is going on around you. 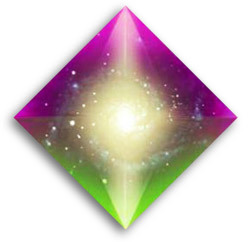 All levels of your life will be supported by the benevolent power of the Diamond Energy. Magic and Miracles will occur in your life daily. Note: Diamond Alignment is NOT a religion, spiritual practice, dogma or self-help course, and it requires no effort, background or belief on your part. Anyone in the world can receive this powerful energy regardless of age, race, creed or culture. Diamond Alignment IS a Divine Energy Transmission that activates the Highest Potential within each of us, allowing us to thrive from a state of Joy, Equanimity, Clarity, Fun, Freedom and Wealth of Being in this increasingly challenging and accelerated world. Our fast-paced demanding lives often prevent us from finding the time to consciously connect and align with our Inner Power and Wisdom. Diamond Alignment offers an unprecedented service that answers this great need - simply, gracefully and effectively. This revolutionary energy technology is convenient yet profound - an exquisite high-tech oasis available 24 hours a day, for those seeking to maintain connection with the Joy of the Divine Power Within, while fully engaging in our everyday world at optimum levels. Whenever you need to align, center, relax and recharge ... this high-powered Energy Transmission and Activation is always on for you. All you need to do is put on your headphones and receive the expansive energy of Diamond Alignment. "I can hardly believe how much I've changed in such a short time. I am a worrier, always have been and I've been depressed from time to time. Now when I look for the things I worry about, I find them, but it doesn't have the emotional load it had before. Over all, I think this program has been the best I have ever done so far, and I tried alot of things before to change things in my life. I am amazed!" 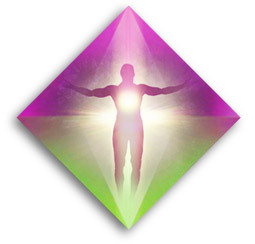 Note: Since everyone who enters the Diamond Energy Field receives this clearing, you are assured that you are entering a pristine energy field and are able to open and allow yourself to receive more. "SUPER WOW ... my Blood pressure is so calm ... my inner self is no longer angry. I just see and feel Love all around! 24-7. Since I have been using Diamond Alignment I have less feelings of fatigue and increased clarity of mind and alertness." 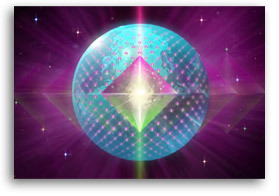 The Diamond Energy Grid interfaces between the non-Physical and Physical worlds. It is a meticulously-designed infrastructure that harnesses high-frequency Divine Energy from the Heavens and the Earth through Diamond Portals that flow this powerful energy to the human body safely and comfortably. These Portals have been established worldwide, creating a Unified Vibrational Field of Diamond Consciousness. 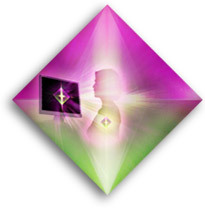 Being plugged into this high-frequency Diamond Energy Grid through your "Premium Diamond Connection" subscription accelerates and amplifies the manifestation of your intentions. Your support and prayers for the transformation of our world are amplified dramatically when you are part of this Diamond global network. As each of us brings more Light and Alignment to our lives, we join the other Diamond Receivers in the Diamond Grid, accelerating the power of our Unified Energy Field to catalyze a global shift into Diamond Consciousness and Joy. You will also be collaborating with Jacqueline Joy, as an active, conscious receiver of the Diamond Energy ... amplifying the Divine Intervention that she invokes through the Diamond Energy Grid daily to detoxify and raise the frequency of the Planet and "Diamondize" crises around the world, which contributes to the upliftment of the human experience. When thousands of you consciously choose to connect to the worldwide Diamond Grid, manifestation is exponentially accelerated. As we each focus on our alignment with Diamond Consciousness individually we are also receiving the Divine Intervention that the Grid is bringing in collectively. "I have started doing this in my office in the morning and concentrating on sending it throughout the office to everyone there. It has been amazing! I feel it making a difference in the whole workplace. My centering is coming much more easily now and I can hold it in-between Diamond Alignments." As a "Premium Diamond" Subscriber, the high-frequency Diamond Energy flows to you from the worldwide Diamond Grid 24 hours a day to support your life. Your commitment to the 6-minute Diamond Activation ONLINE (2 times a day is optimum) PLUS the 24/7 continuous flow of the Diamond Grid Energy, will enable you to maintain your alignment with Diamond Consciousness and keep your energy field clear, your vibration high and your energy flow strong. "Everything has changed! And this comes from someone who tends be cynical and not wanting to trust! Last night I slept for 11 hours and I haven't slept for more than 4 hours at a time in more years than I can remember. I feel happy! and yes, full of equanimity. I have been doing this twice a day for about a month now. Thank you!" Jacqueline Joy uses advanced energy technologies that she has mastered over the last 20 years to serve you 30 minutes daily. These powerful energy clearings and transmissions accelerate your embodiment of Diamond Consciousness, empowering you to maintain your Diamond Alignment and create true Wealth of Being - Wealth enjoyed at all levels; spiritually, mentally, emotionally, physically and materially. NOTE: The daily Remote Clearing is not a recording nor is it received via teleconference call. The daily Clearing is transmitted "remotely" by Jacqueline Joy at the vibrational level, and therefore, it is not necessary to be in contact with her in the "physical" or do anything to receive it. However, if you wish to become consciously aware of the Transmission, we recommend that you follow the "Remote Receiving" instructions that are included with this level of subscription. "People have been noticing that there is something different about me ... more stable, calm, centered and quietly joyful ... I feel I am taking the Diamond with me more and more into activity and both resolving conflicts and protecting myself more and more with it to avoid future conflicts ... I am more forgiving, vibrant and healthy." "I love the Diamond Alignment clearing, high frequency energy. I am feeling the Divine energy flowing more fully, more gracefully, And I am so blessed by this. Something has definitely been lifted in our family around finances, as my husband has what he calls his first real interview in seven years today! What a HUGE Blessing this is." "As soon as I entered the Diamond all anxiousness, lifted ... leaving me feeling balanced, peaceful, and with clarity. Not only does it realign my Intuitive self when I'm feeling a little drained; it's a huge dose of pick me up. I cannot imagine life without the Diamond." Jacqueline Joy, Diamond Alignment's Spiritual leader & advisor, is globally delivering her Divinely-inspired Sacred Technology that aligns individuals with the Empowerment and Joy of Diamond Consciousness, through her transcendent 6-minute Diamond Alignment Activation online and "live", through her powerful Diamond Energy Transmissions, Activations and Clearings. 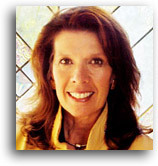 Her solid anchoring in the business world and her embodiment of Diamond Consciousness, awakened in 1987, allow her to lead, inspire and support individuals worldwide, from 185 countries, in mastering their embodiment of Diamond Consciousness and actualizing the highest Diamond Potential of their Divine Diamond Blueprint. "The energy today was more powerful now that i am a subscriber Thank you DIAMOND Team and Jacqueline Joy" "When I'm in disarray: the Diamond brings me balance. When I'm unsure: the Diamond brings me Clarity. When Intuitively exhausted & wanting to rejuvenate. The Diamond surrounds me lifting my spirit with a huge Smile." "I felt the shift today ... a magnificent breakthrough - out of sadness, confusion and fear and into peace, empowerment and "positive cash flow"! I made several unexpected sales today." "I don't like to take medication of any kind ... and I have been having trouble sleeping ... so I do diamond alignment right before I go to bed, and I have been sleeping much better." "Relief and relaxation, deep integration seems to be happening in my body and in my life ... relationships going well, just the right people coming for my service ... tingling in my throat and upper chest continues in the Diamond experience ... more deeply rested ... Happy, just simply happy for no reason." "A most wonderful and tantalizing experience ... EVERY TIME! Nothing causes my chakras to sing out so loud, free, and clear of all obstacles as the Diamond Alignment Experience." "Wow. You are right this does amplify and accelerate the positive results of my other practices ... I am so loving this. It brings great joy to my heart and being." "I feel clear ... clear in my mind, my body and my energy. It is fabulous to feel this way because I can now create my own reality in Joy, Peace, Love and Gratitude. Thank you so very much for your support!" "It's so peaceful and wonderful I absolutely love this! It's the perfect way to kick off my day each day and helps me to spread so much love peace and joy to my friends and strangers. Thank you so much for this!" "Thank you for this amazing life changing energy! I have never felt so much love and beauty in my everyday life, as since I started doing this twice per day." "1 month later, and I am still enjoying the Diamond. With other modalities I've used in the past, I am usually bored by now. Thank You for this service." "I feel such a Joy ... it is bubbling into every cell of my body! This Joy is possible when myself and Self are united and radiating as One. Diamond Alignment helped me attain this state of Well-Being that we all seek. My deepest thank you!" "I feel so much better knowing that activating the diamond when experiencing toxic energy will help to clear my field and keep me in diamond alignment. I can't say it enough how much I appreciate and honor this magnificent energy." "Thanks to the Diamond Energy. I got one very serious and pressing financial problem solved with the help of a very understanding friend, just in time to meet the deadline tomorrow. This is really a miracle." "Thank you so much! I feel a profound sense of gratitude for this. It feels as if all parts of me are gently and lovingly moved into alignment with my greater purpose and with the Divine Plan. I love the feeling in my body - tingling cells, aliveness, joyful, grateful feelings, spine straighter and walking taller." "Whenever I feel I'm picking up on Negative energies around me, I come back to Diamond Alignment. It's like a dear best friend I can rely on unconditionally." "The one thing that is present and remains a constant every time I experience the diamond alignment is the equanimity. This feeling seems to remain with me since the first alignment, just a calm presence. Thank you deeply." Sign up for our FREE Diamond eNewsletter and FREE e-book!